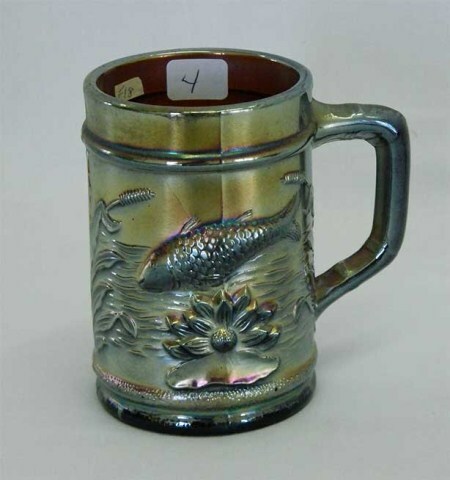 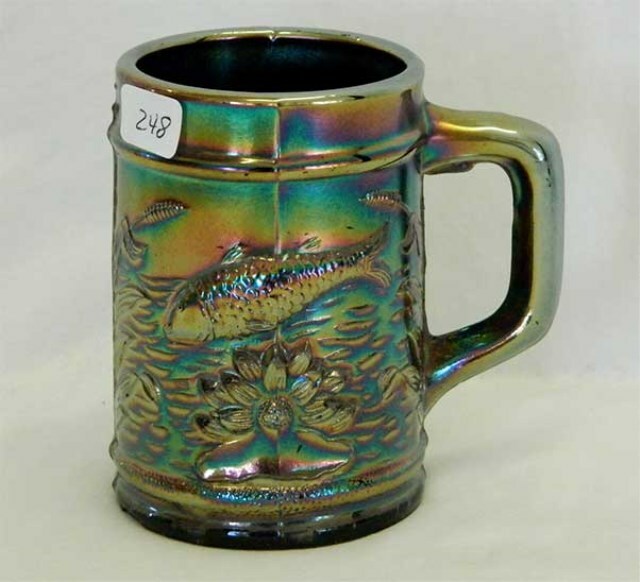 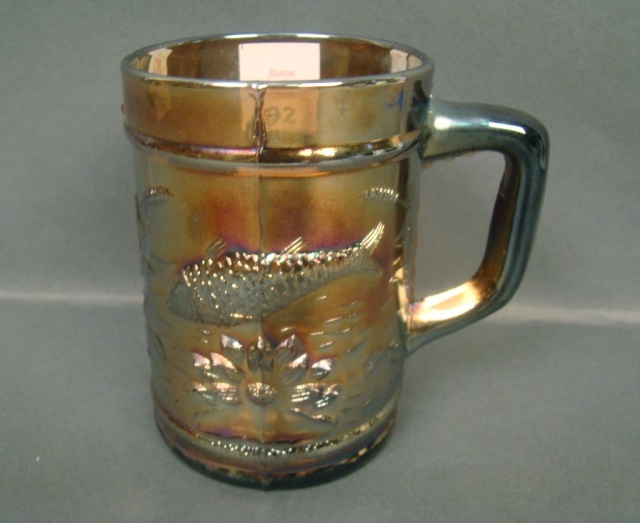 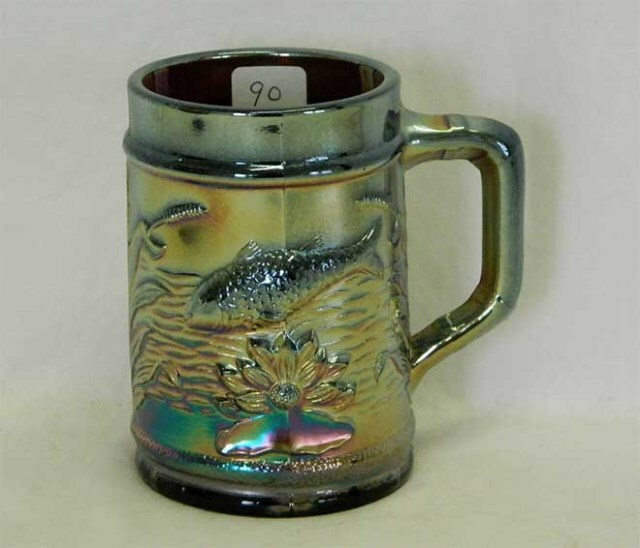 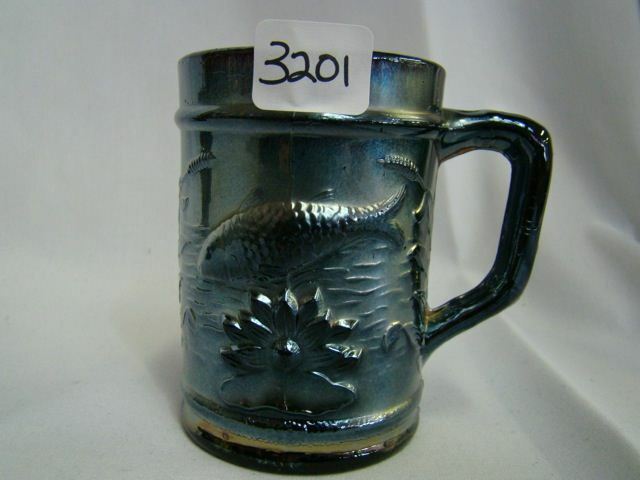 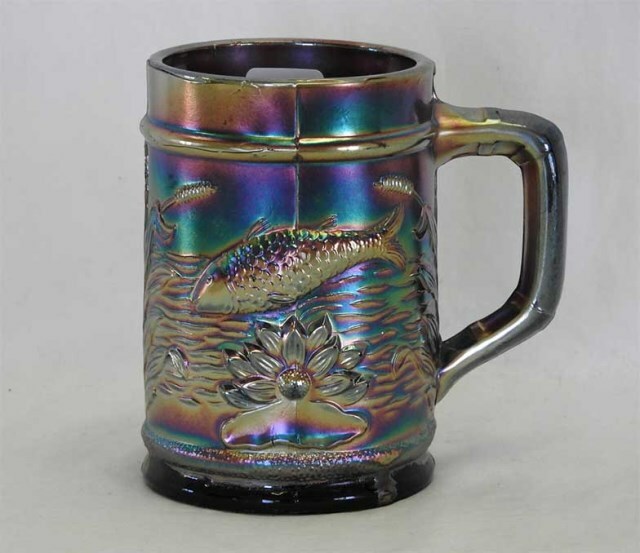 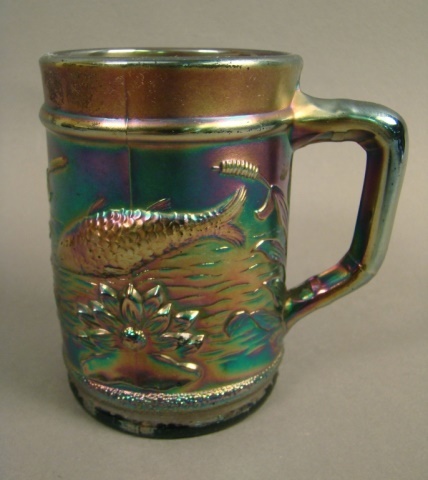 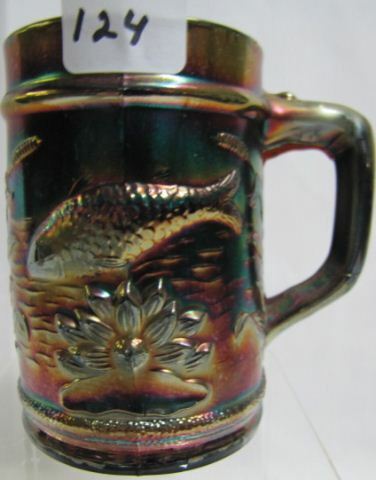 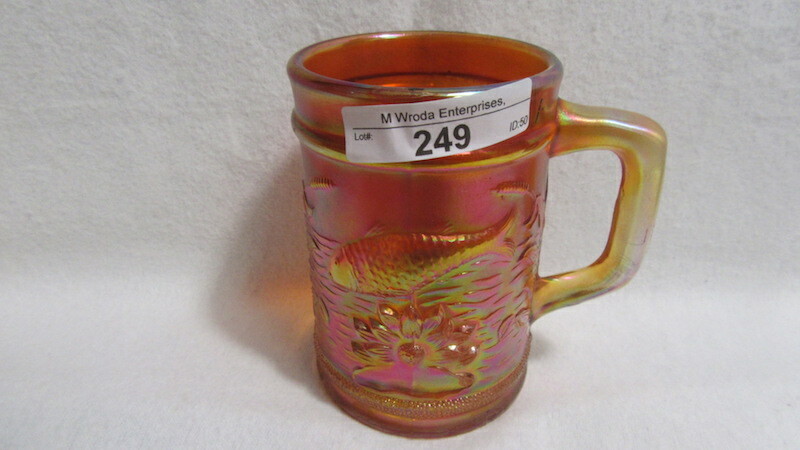 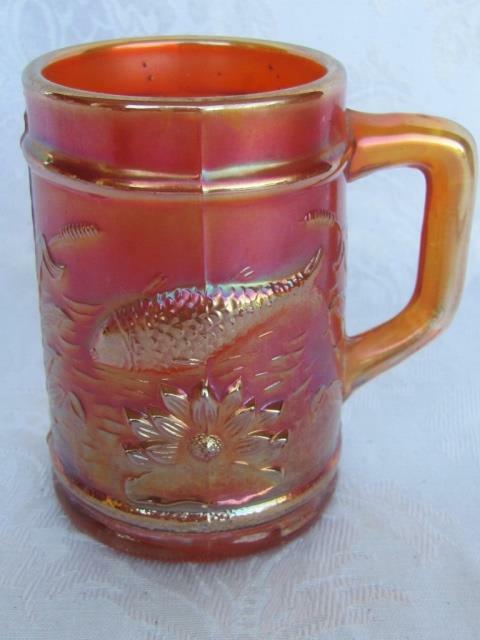 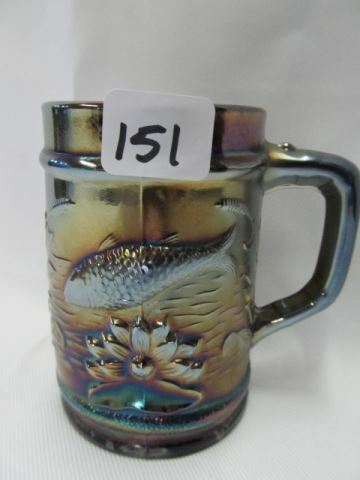 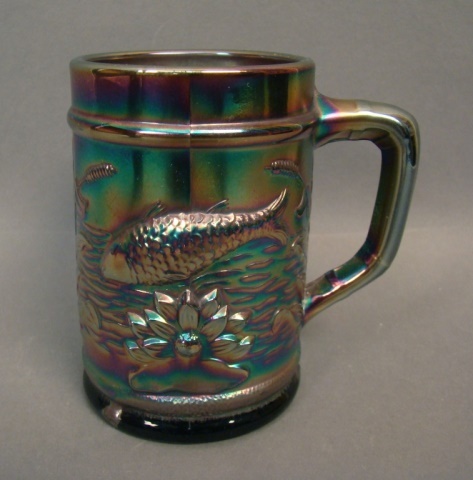 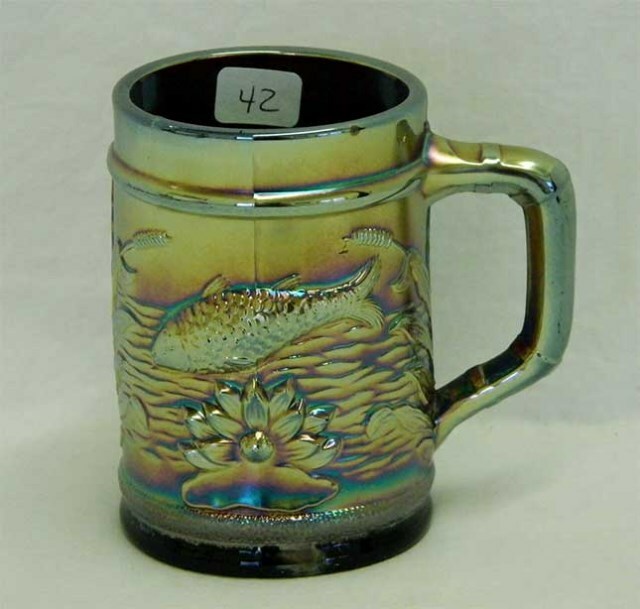 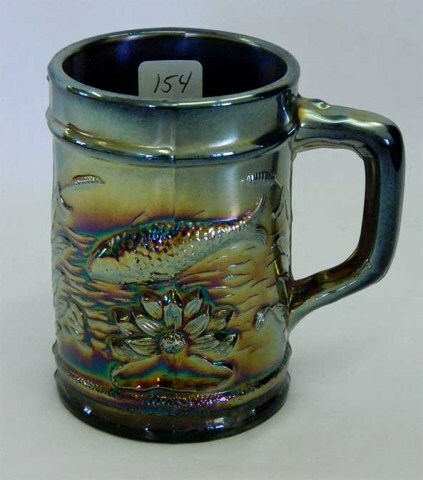 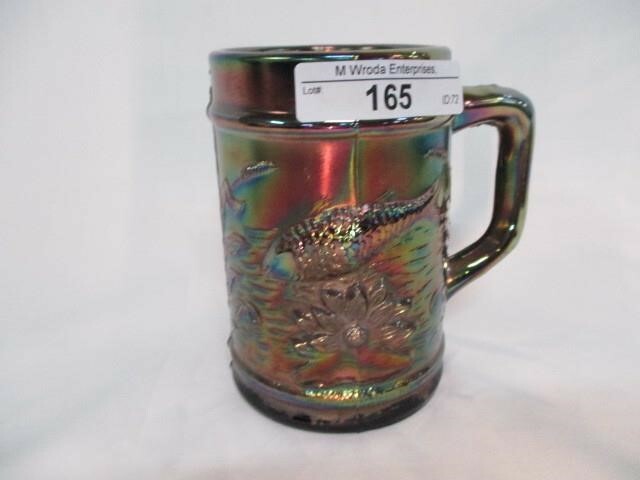 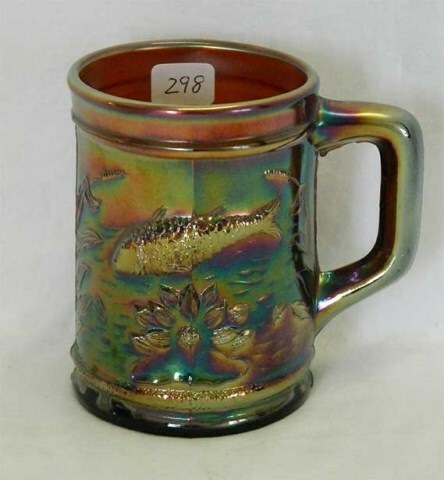 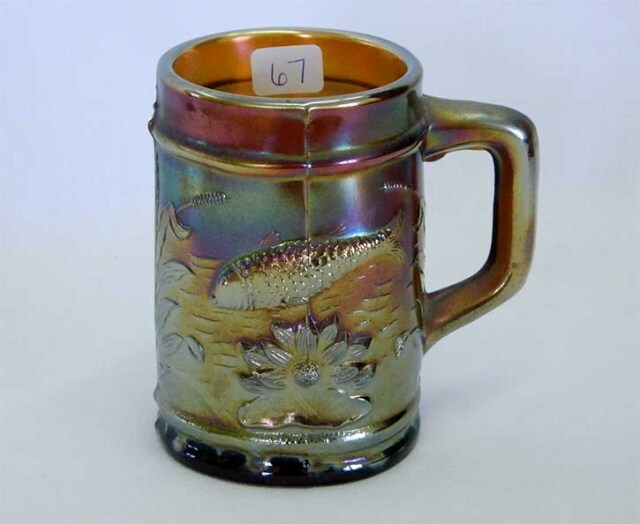 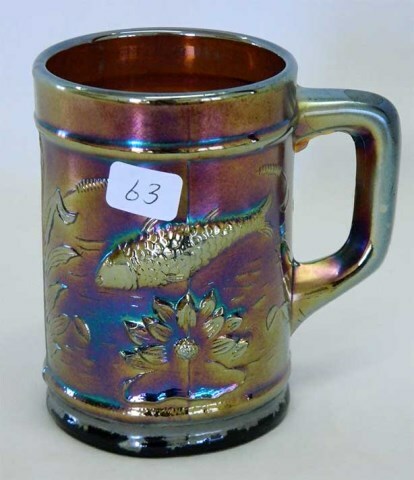 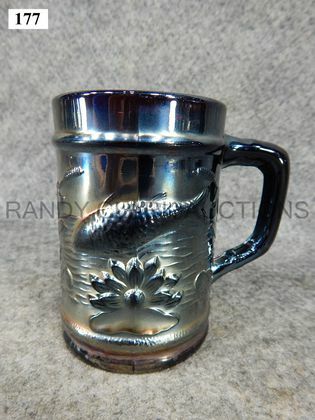 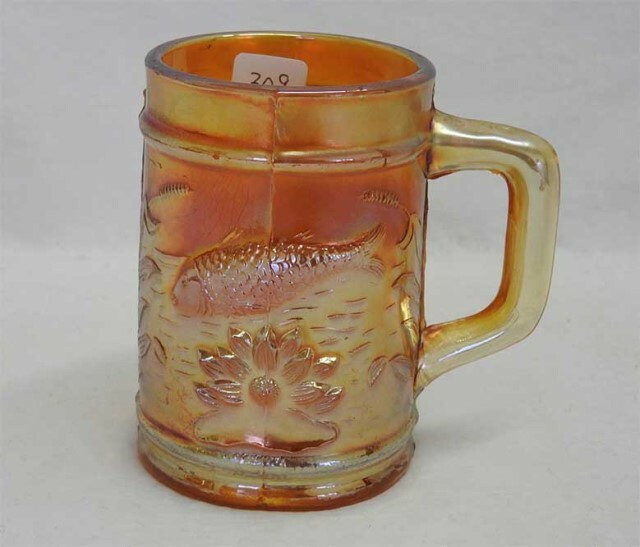 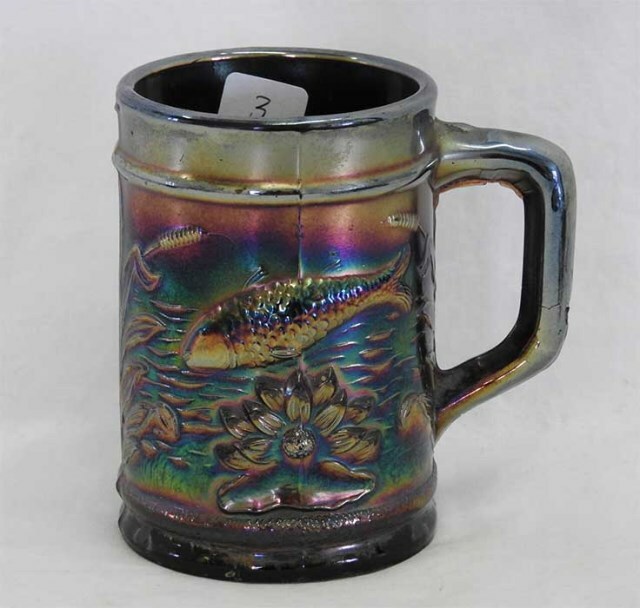 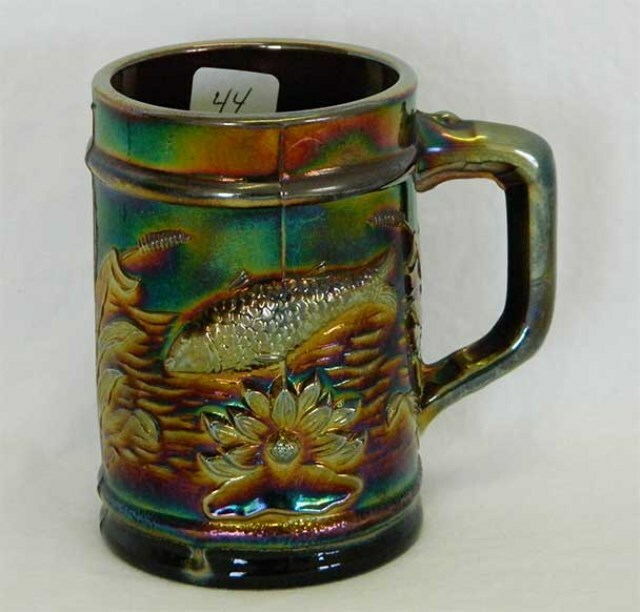 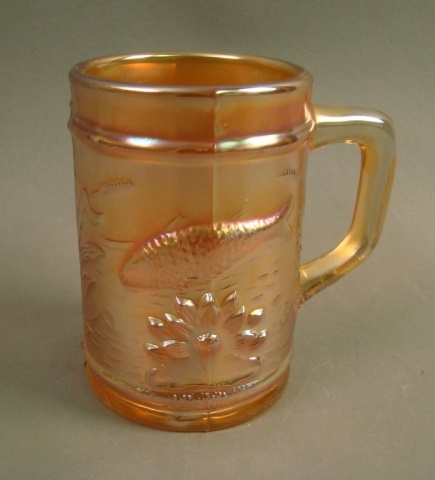 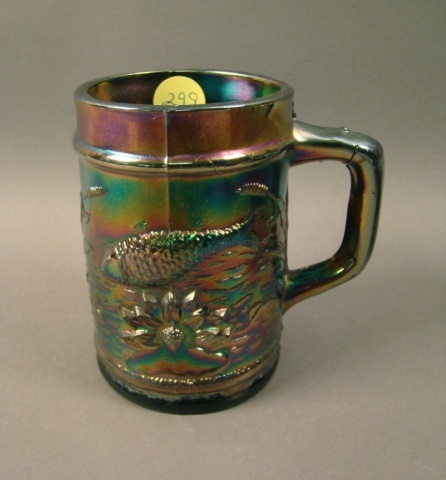 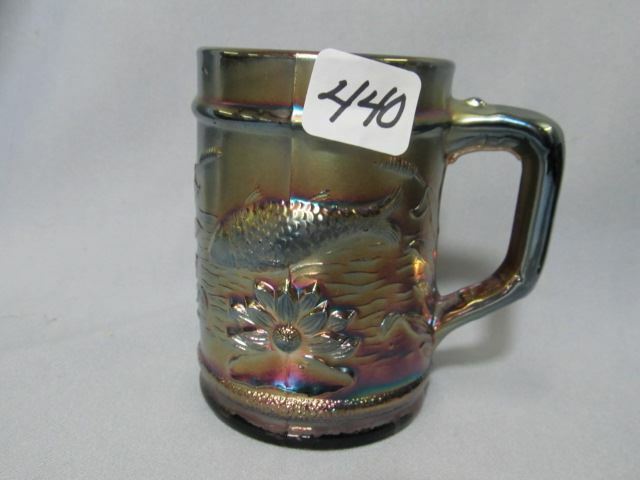 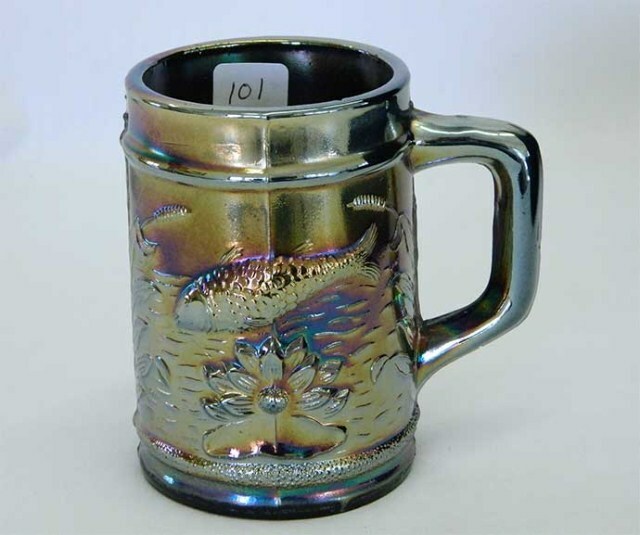 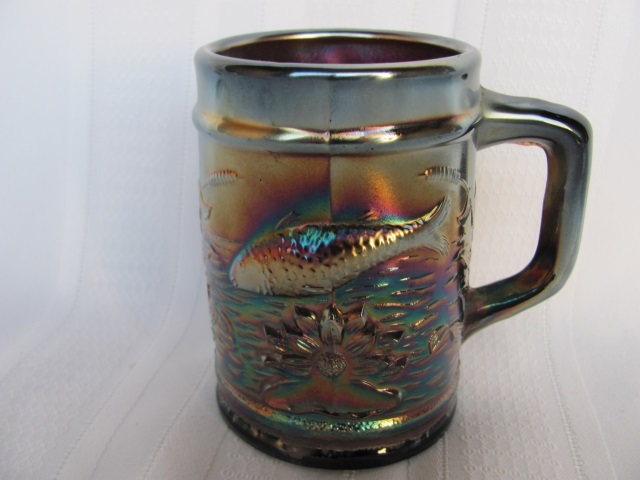 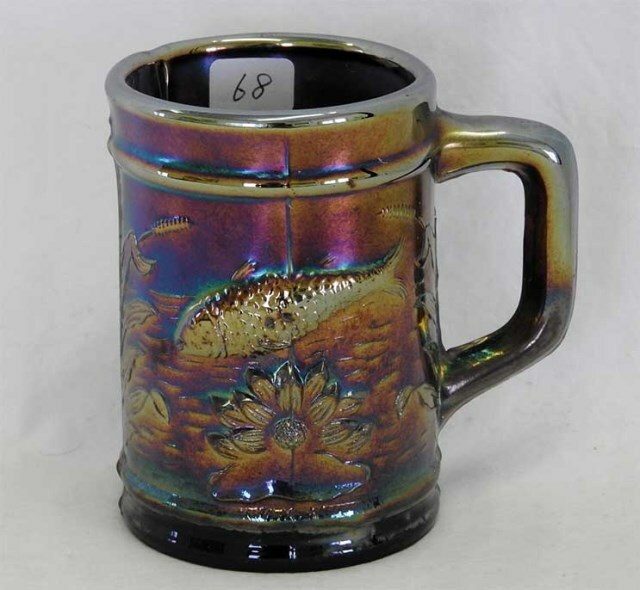 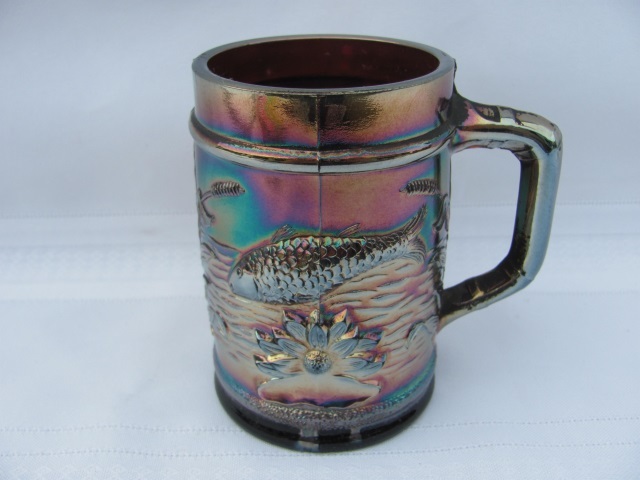 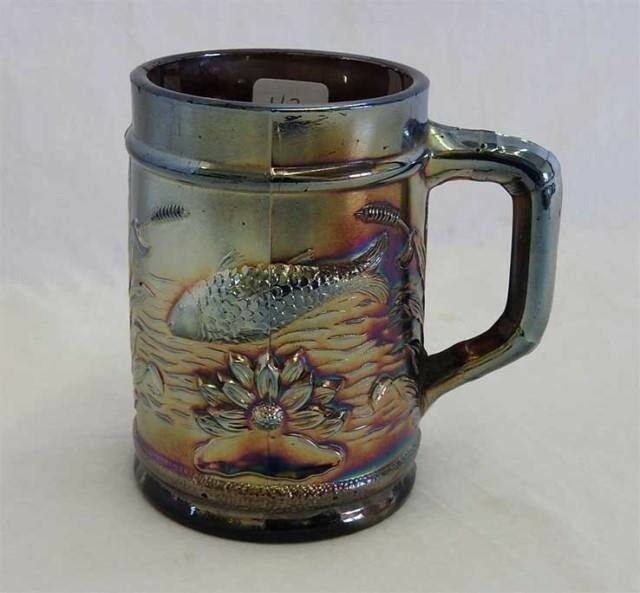 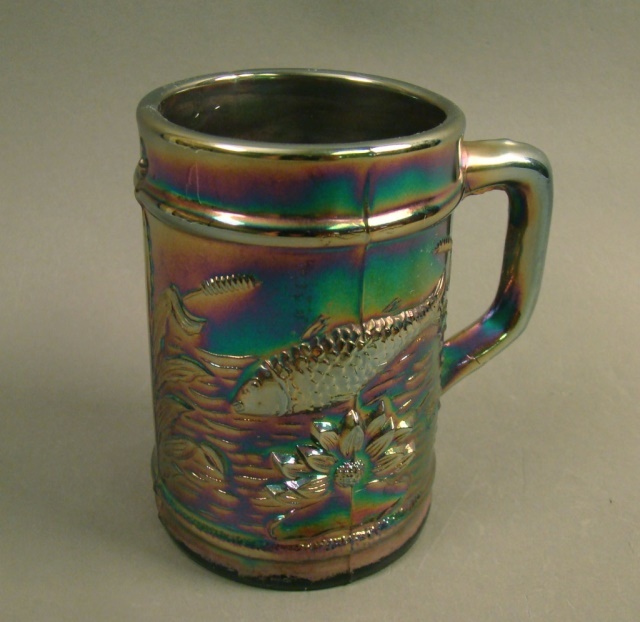 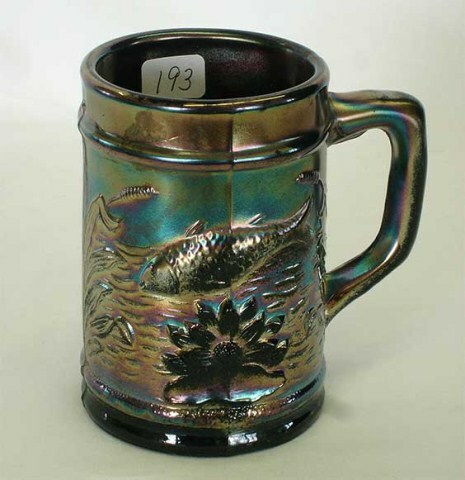 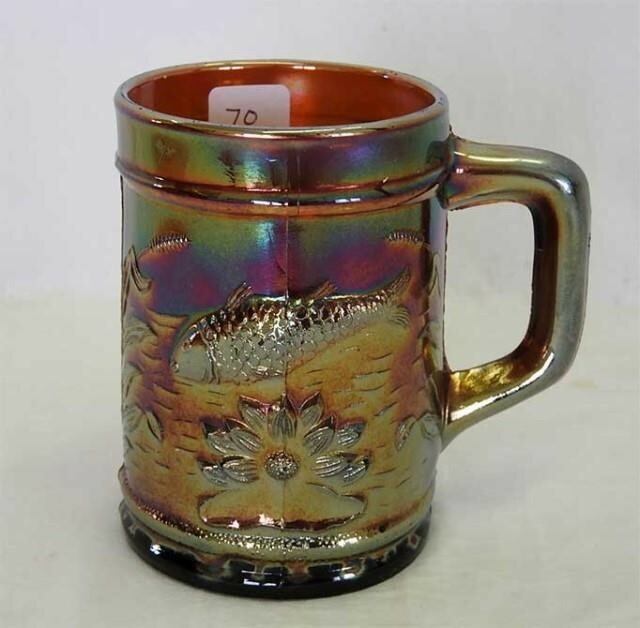 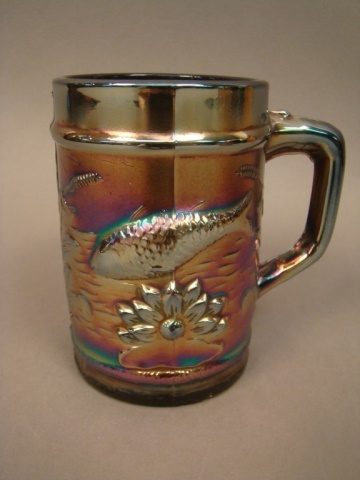 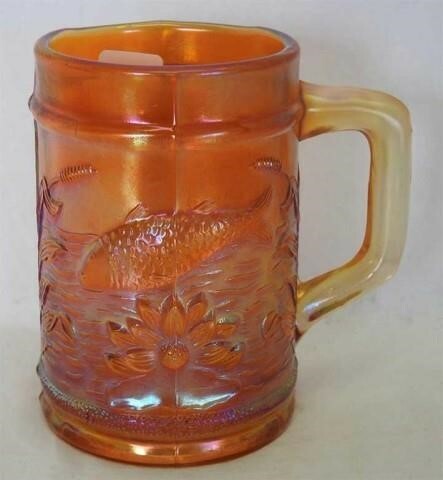 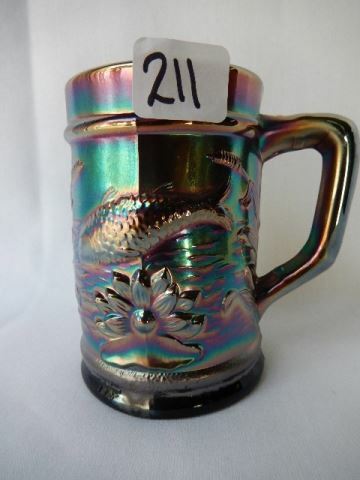 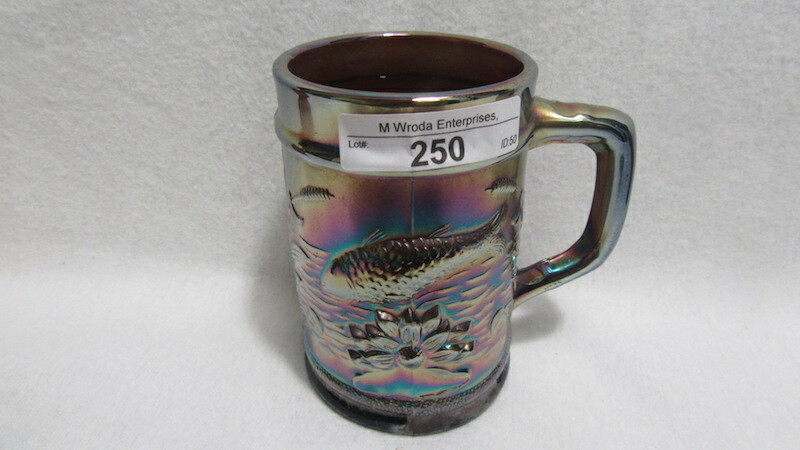 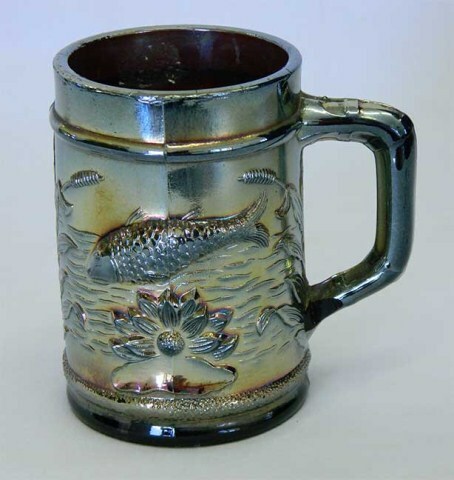 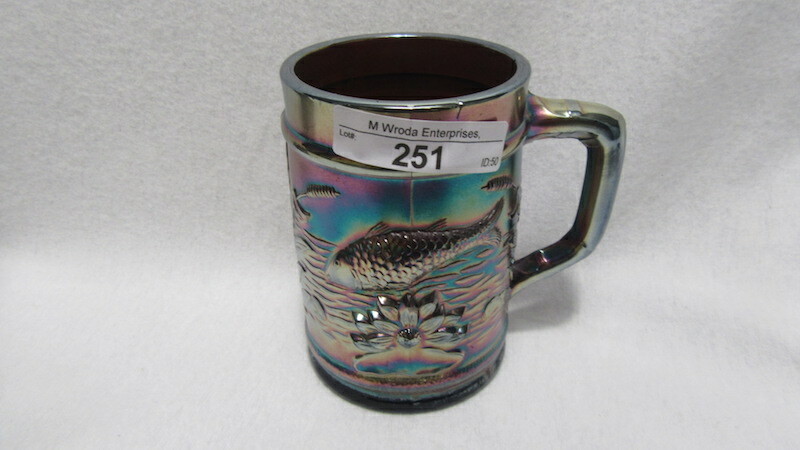 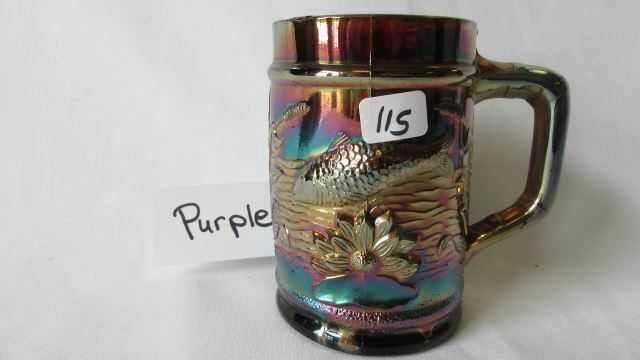 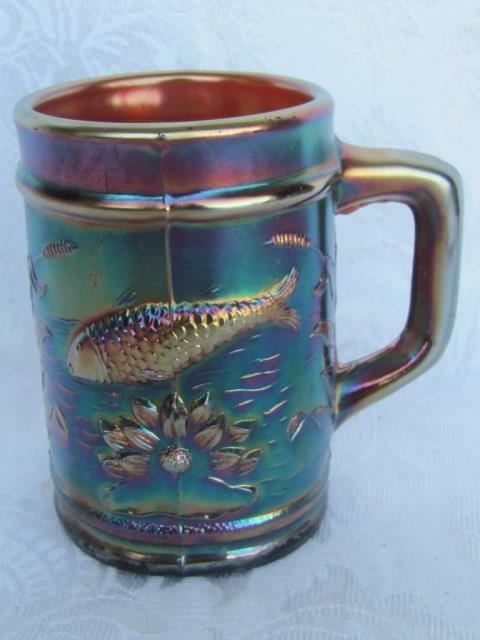 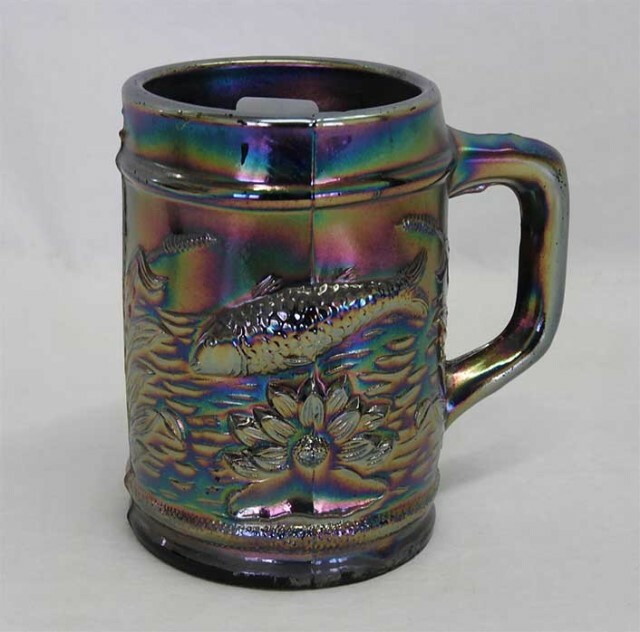 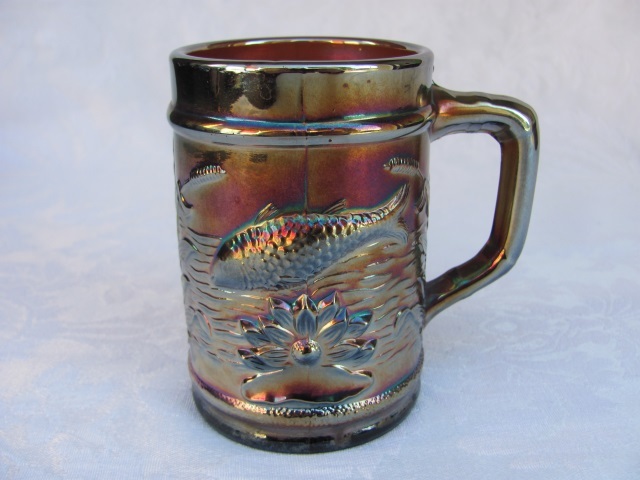 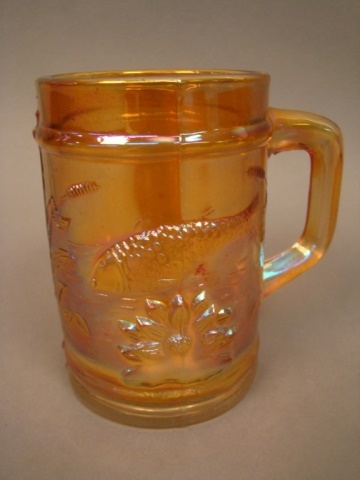 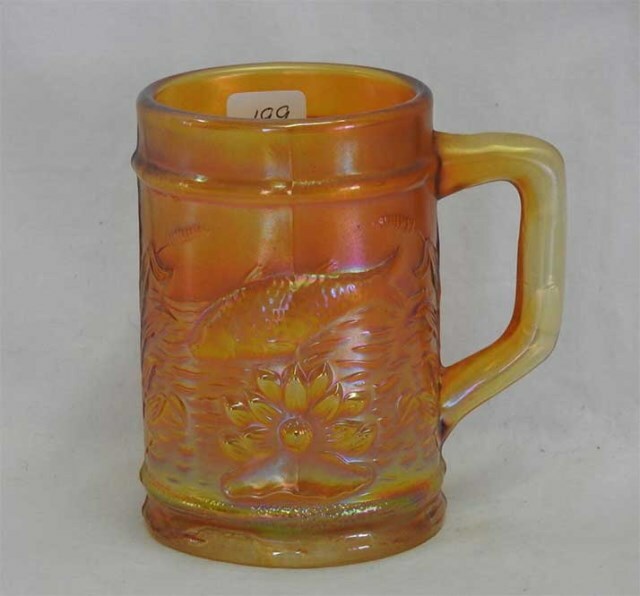 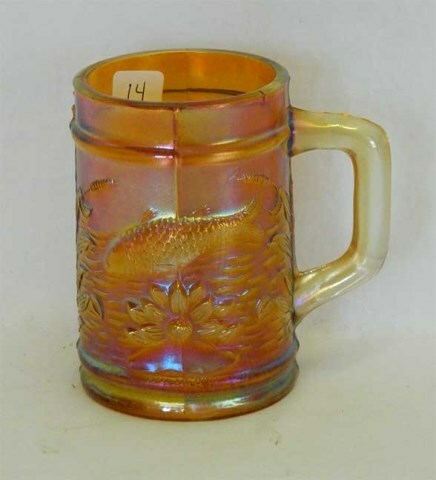 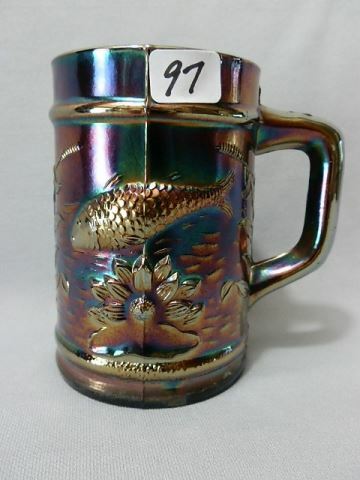 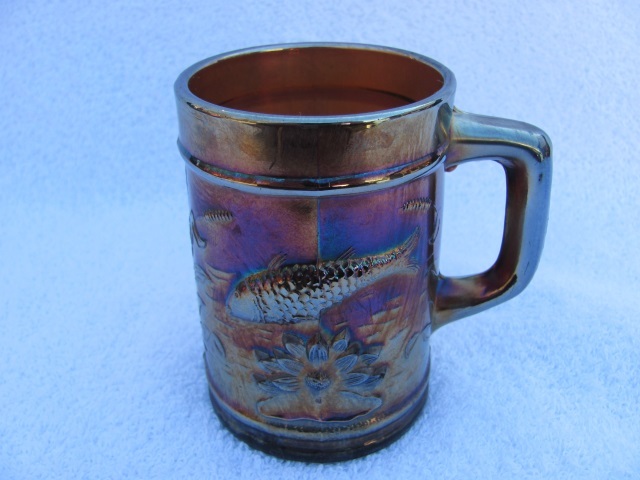 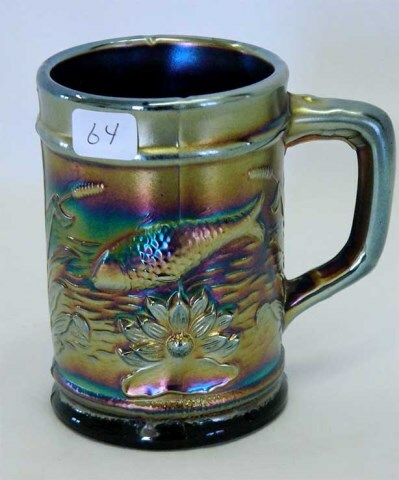 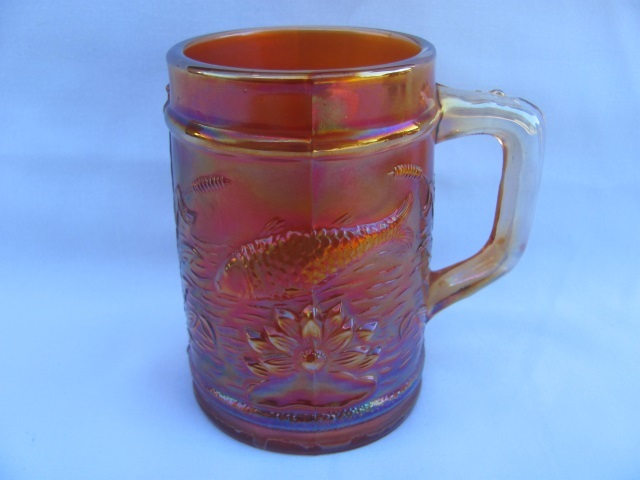 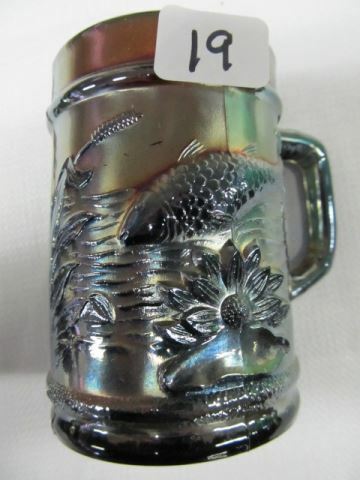 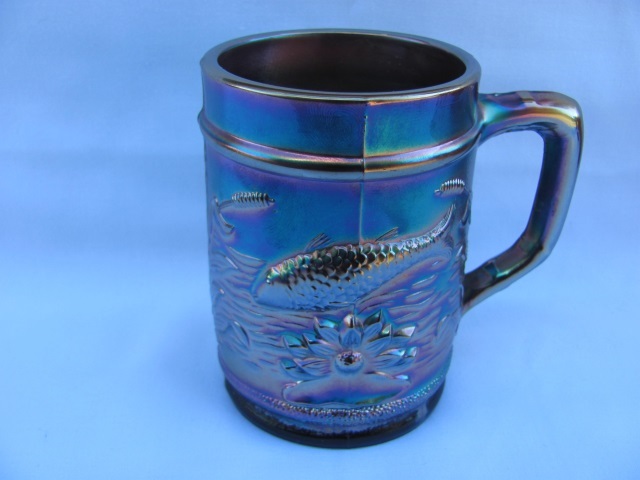 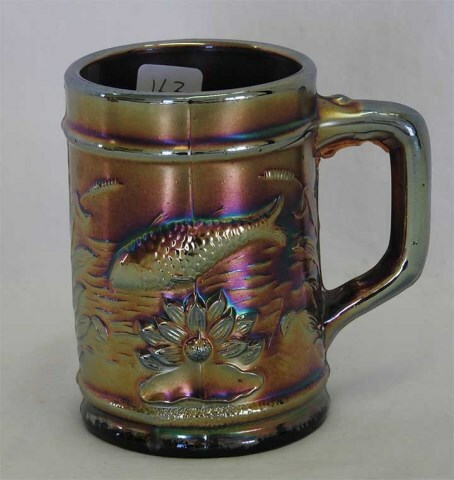 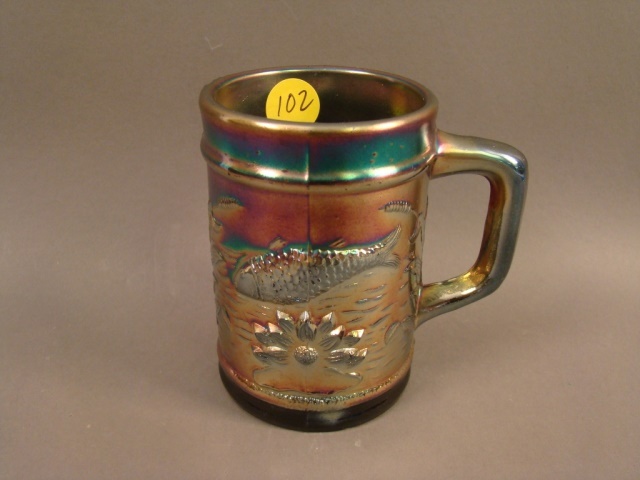 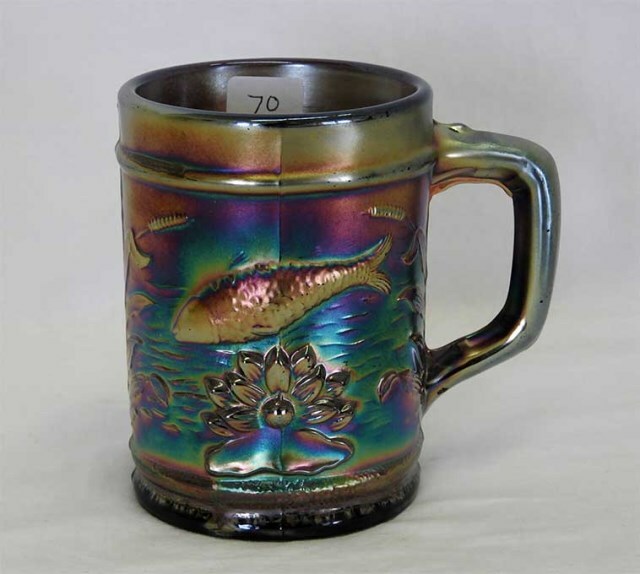 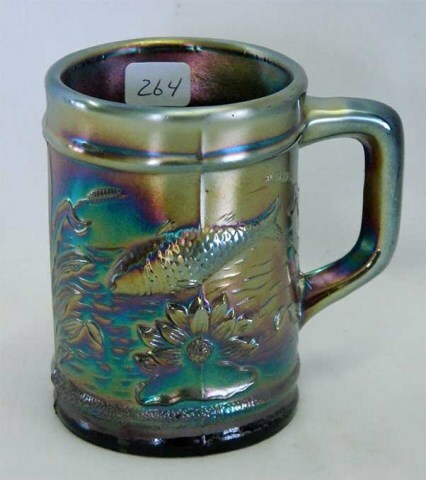 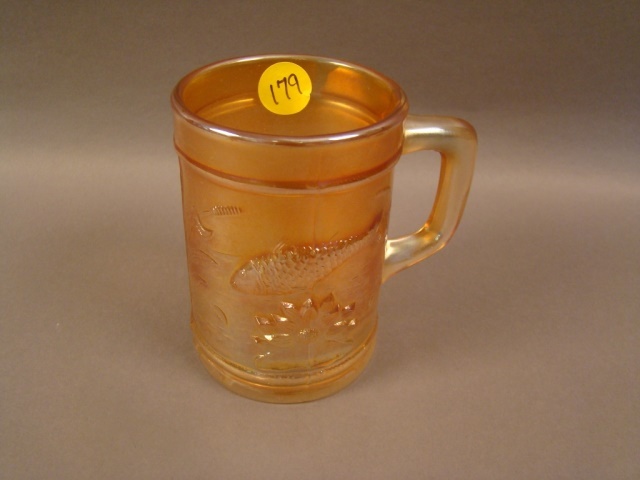 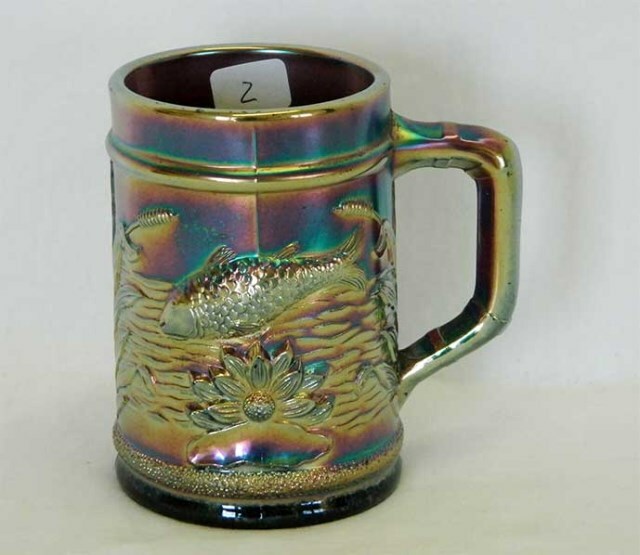 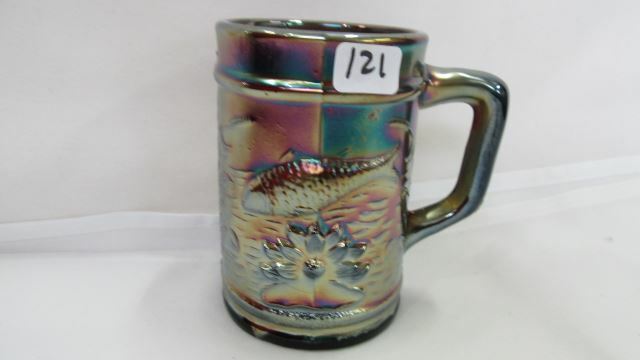 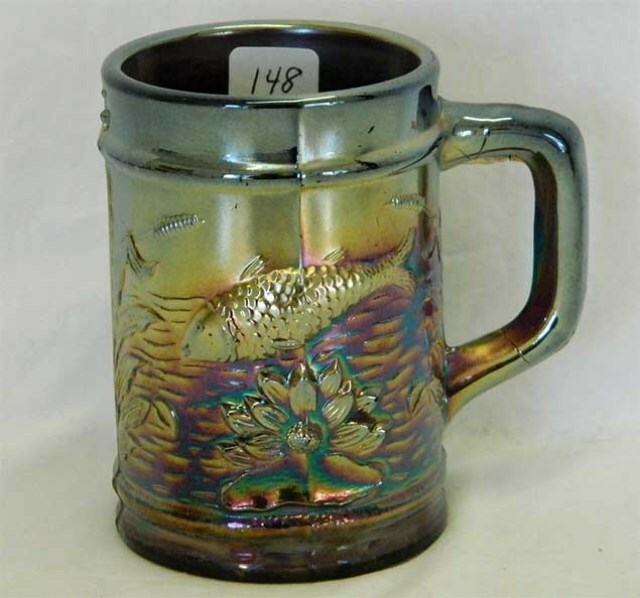 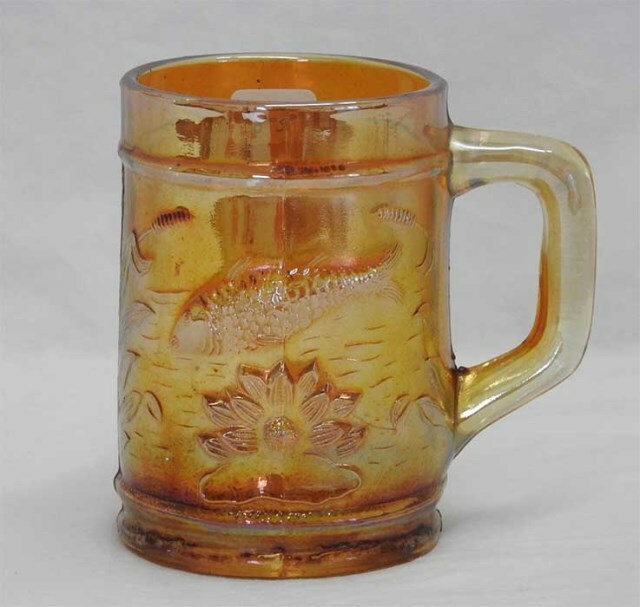 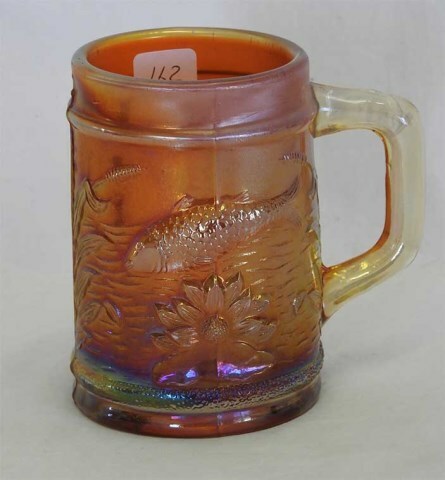 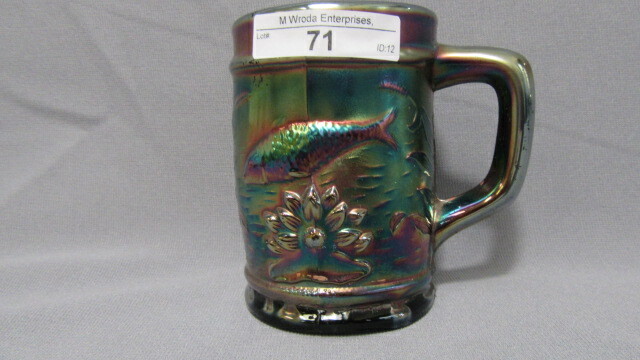 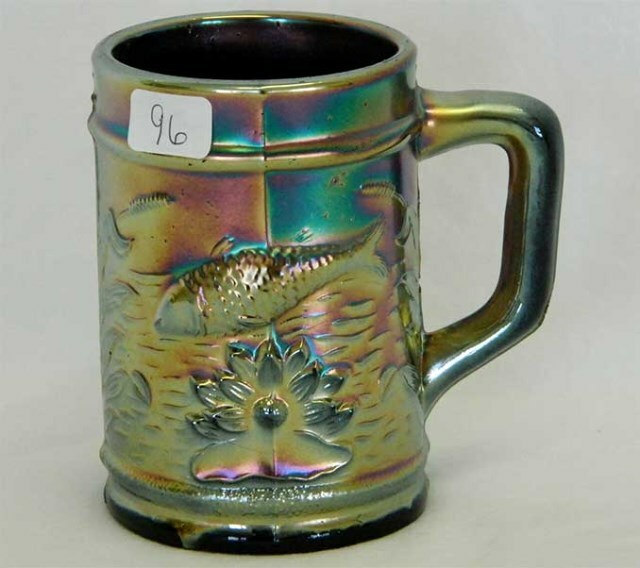 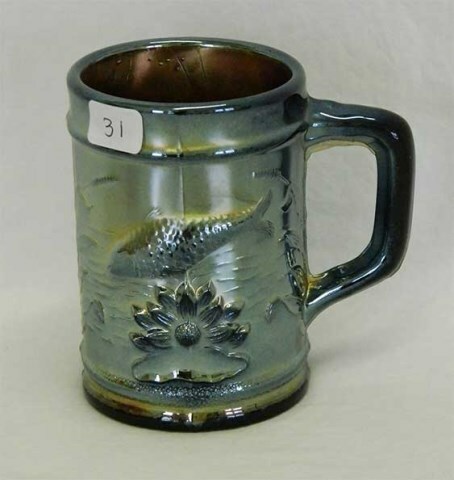 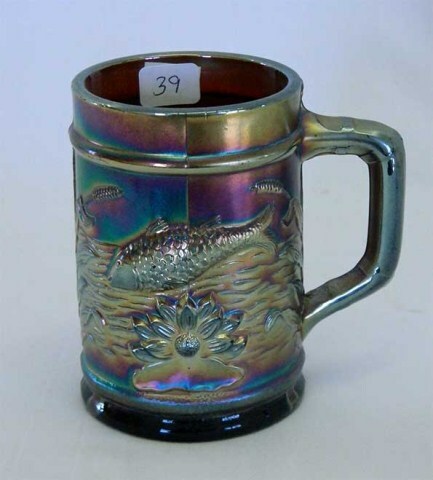 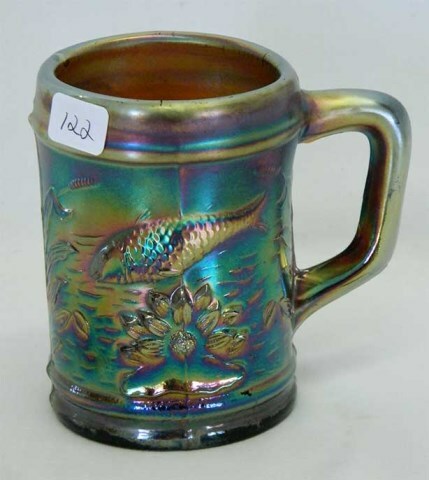 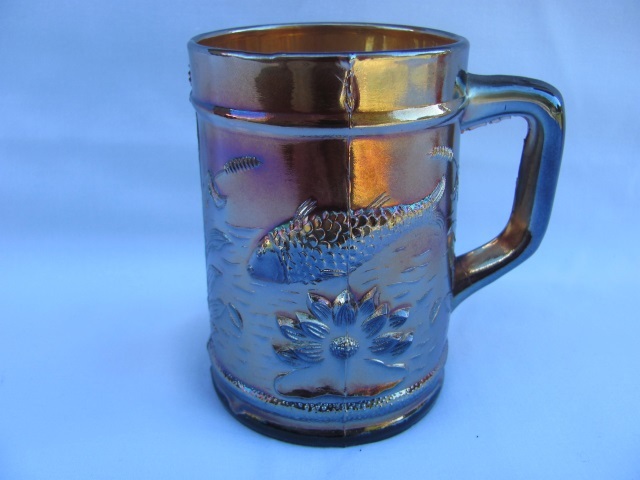 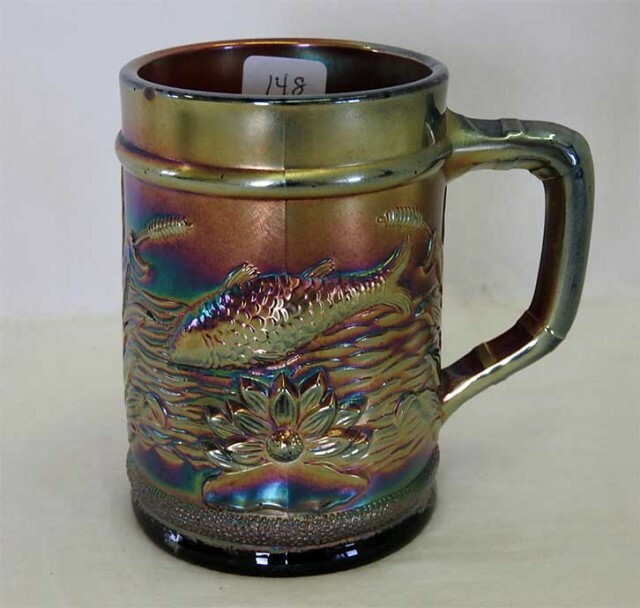 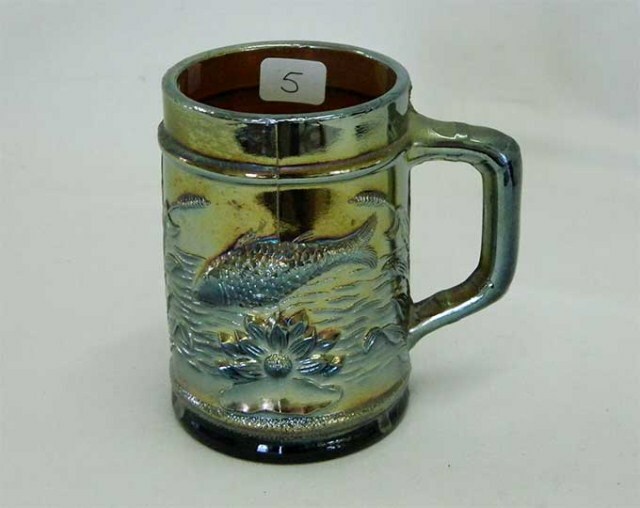 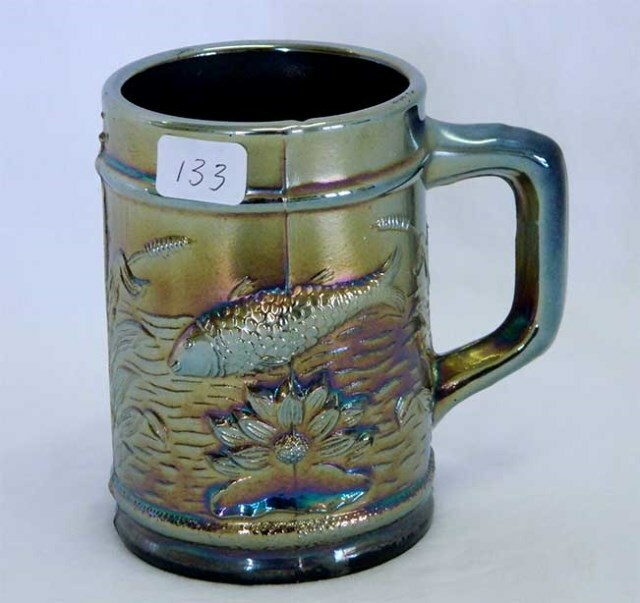 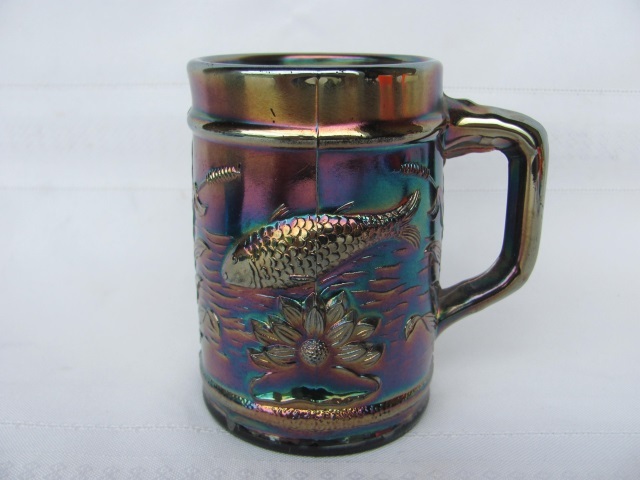 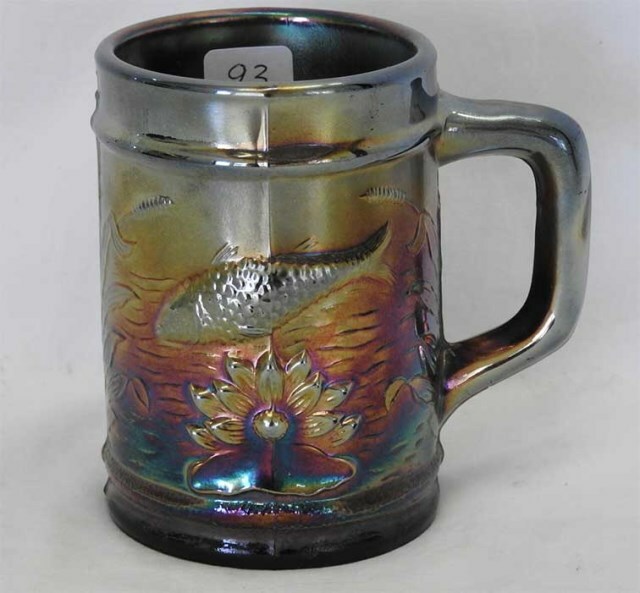 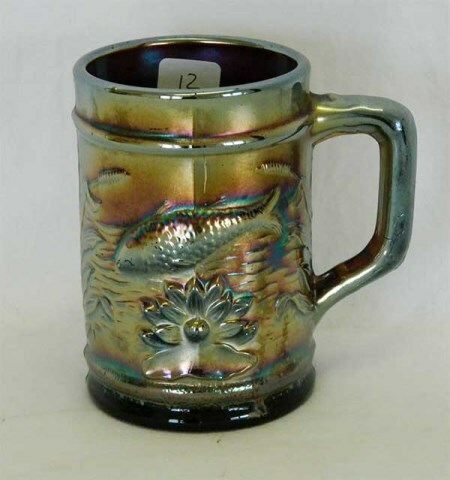 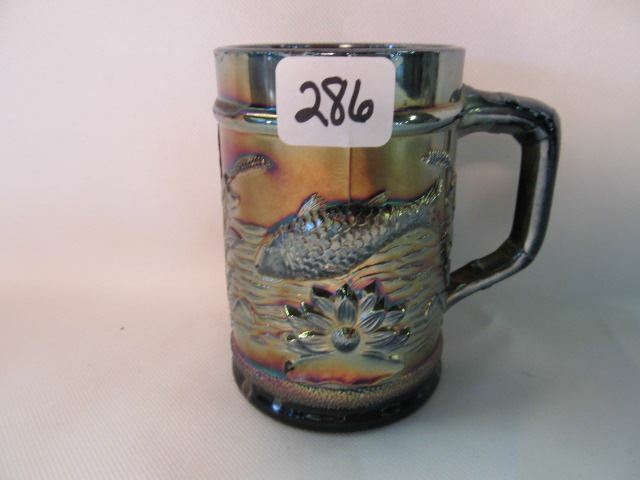 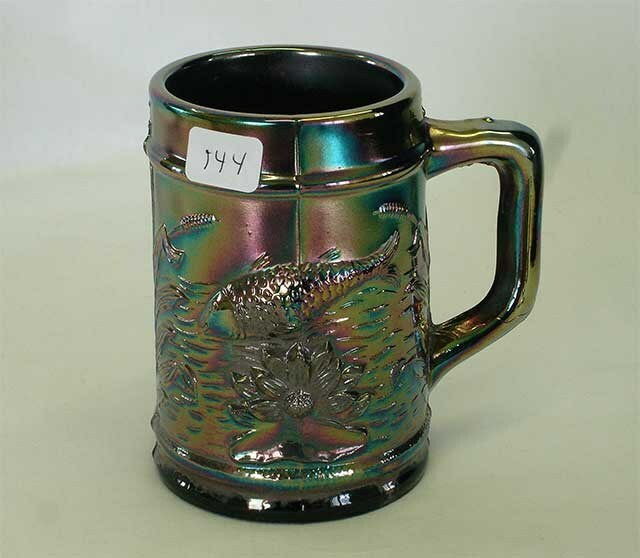 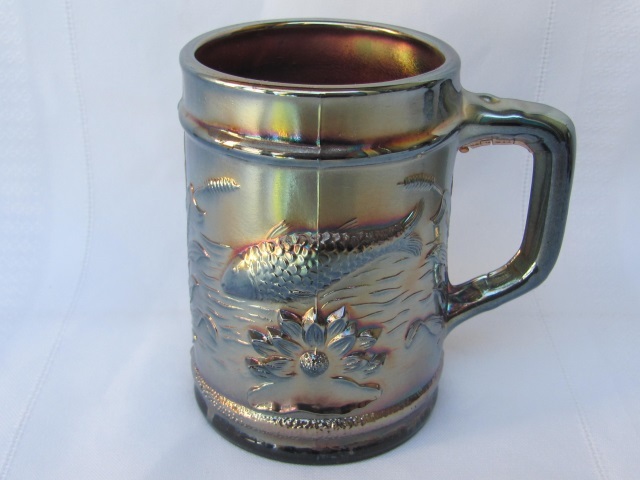 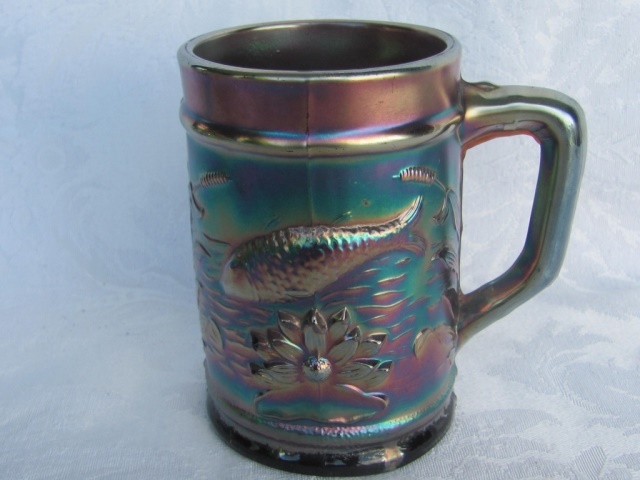 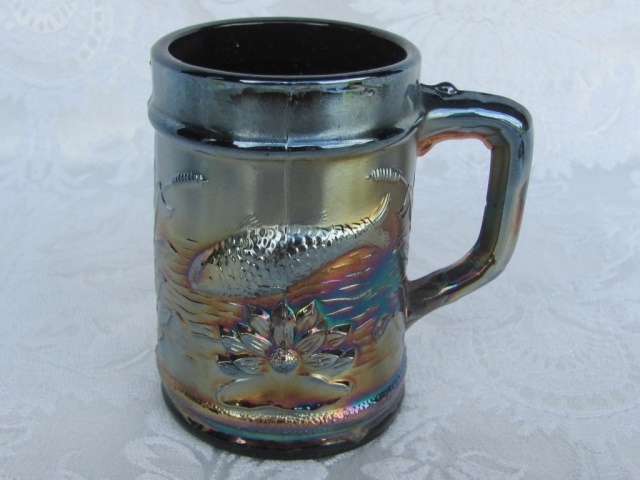 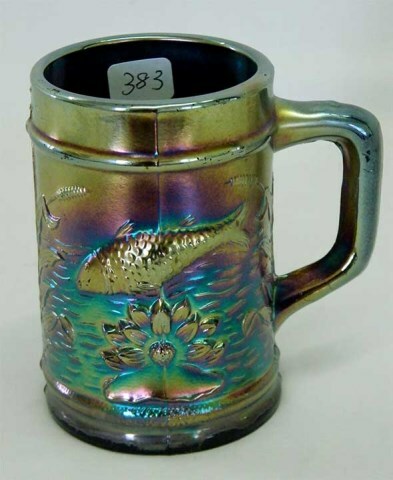 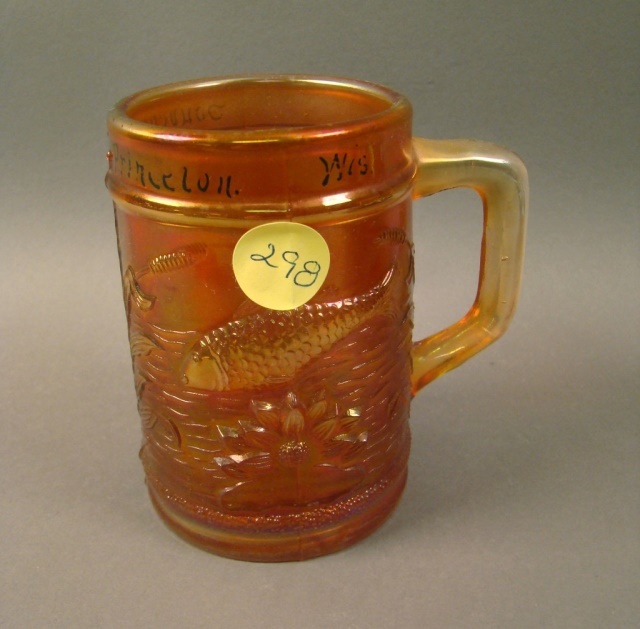 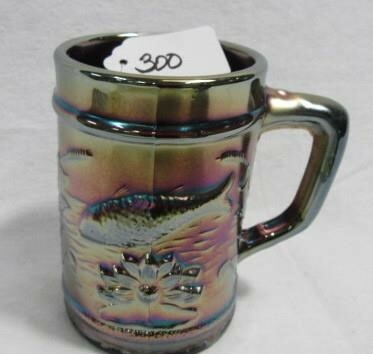 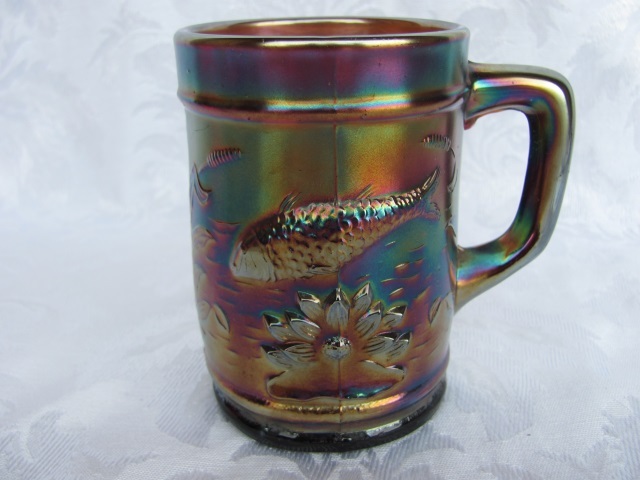 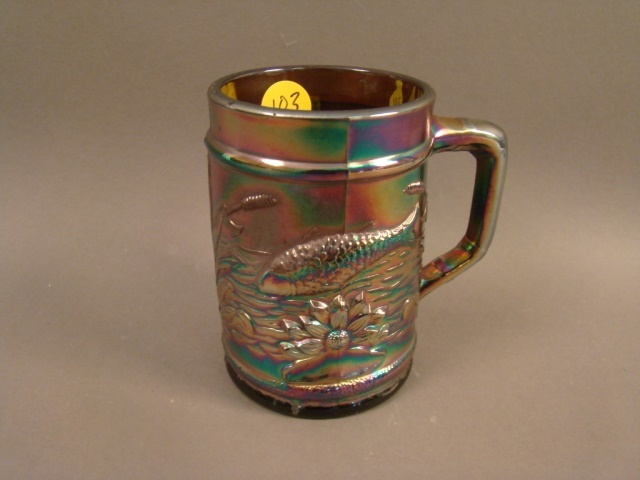 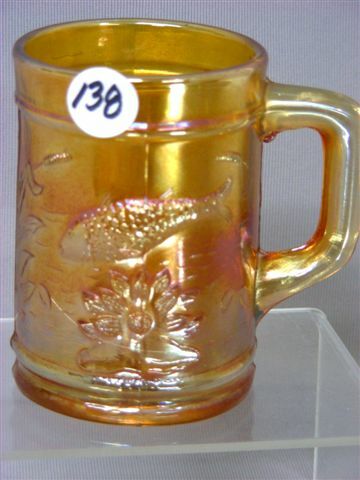 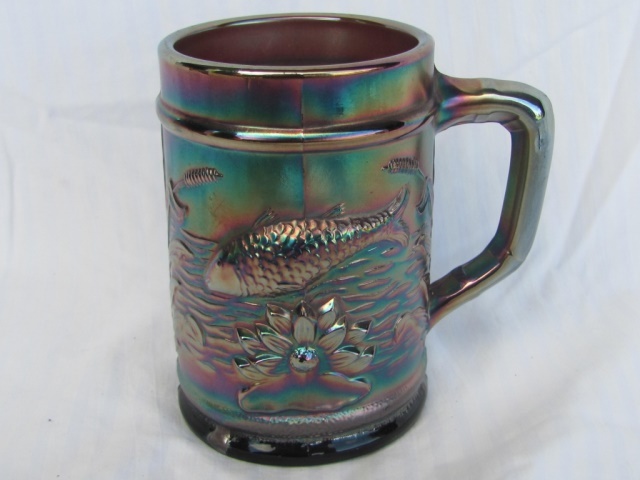 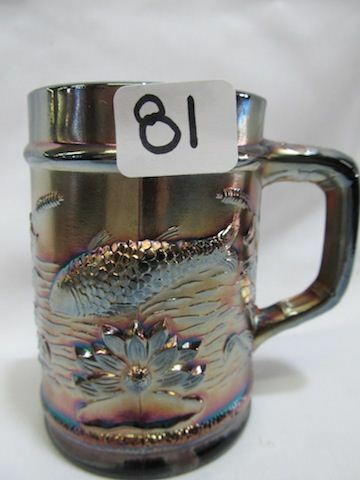 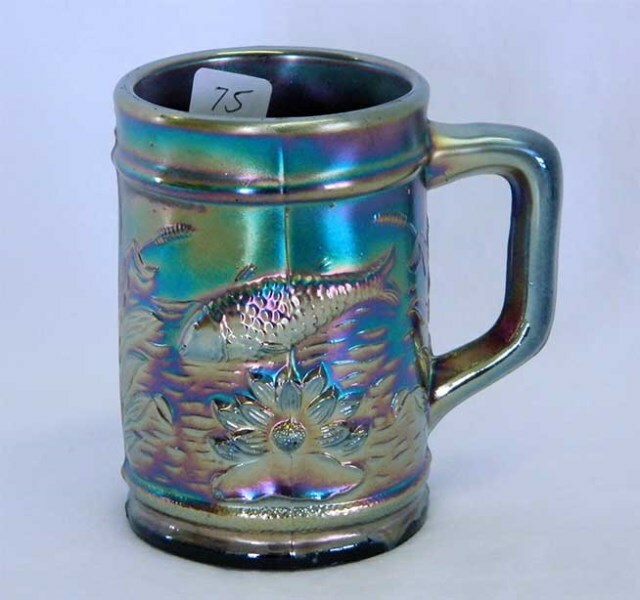 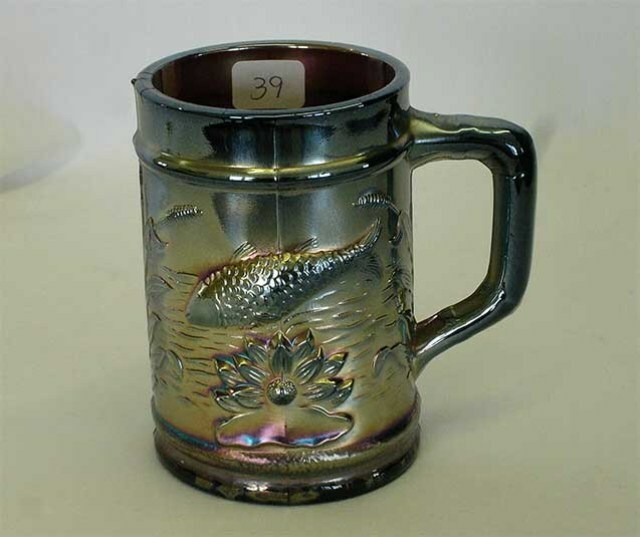 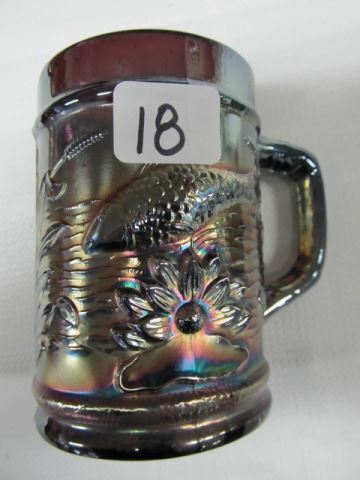 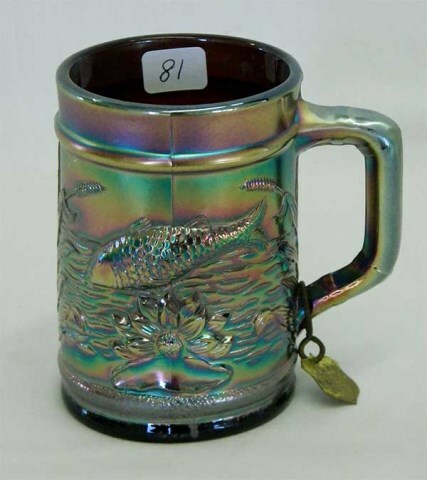 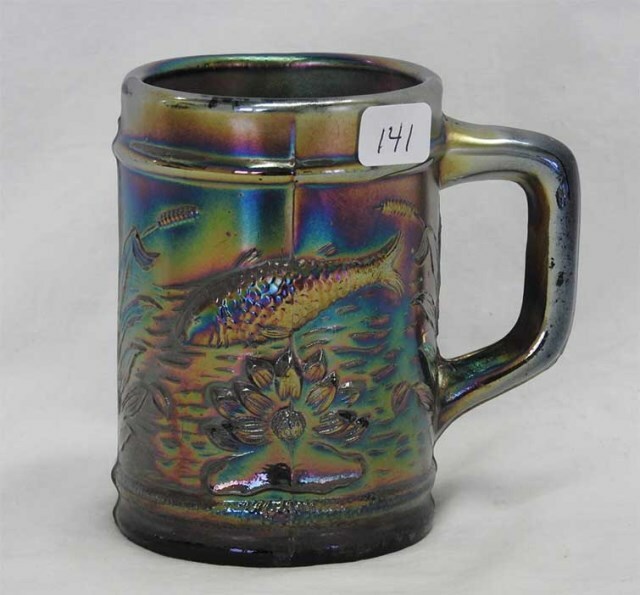 With this mug, only one side has the fish design; the other is blank. 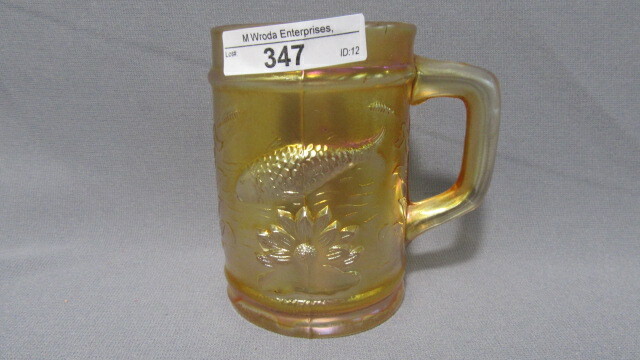 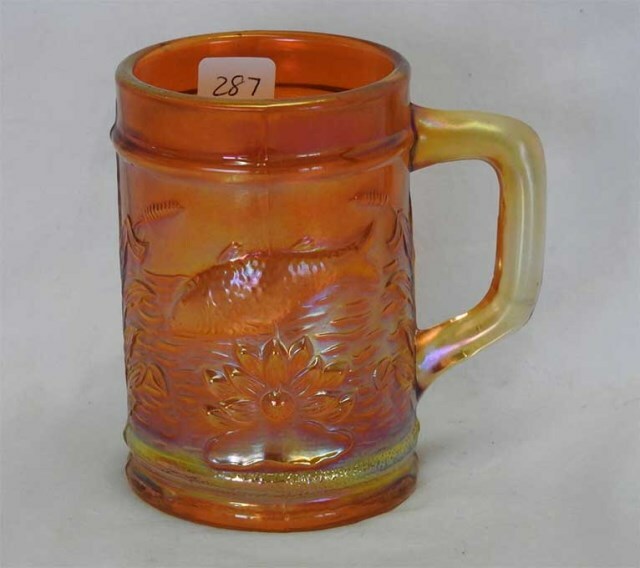 Some collectors speculate that this was a container for candy or food and that a label was applied to the blank side. 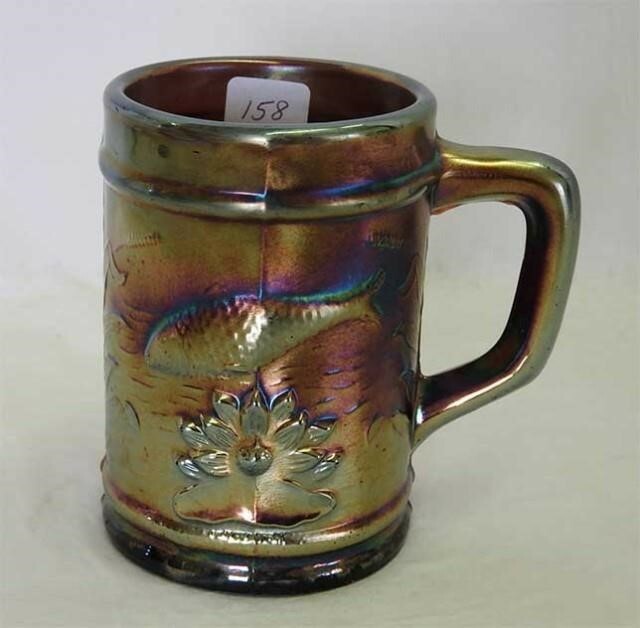 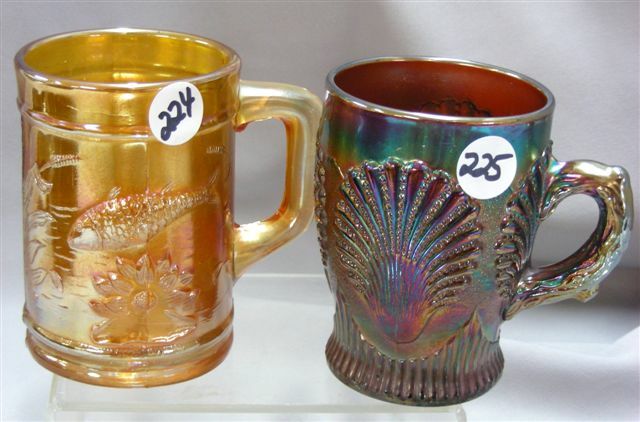 Above are purple, marigold, and peach opal mugs.